Two of the most recent instructional materials reviews published on Learning List are science subjects. Perfection Learning provides comprehensive textbooks for introductory high school courses in earth science and marine science. 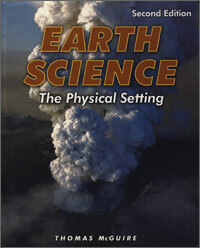 Earth Science: The Physical Setting is a full-year course that explores topics in astronomy, meteorology, geology, and oceanography. The course introduces fundamental concepts while developing students’ problem-solving and critical-thinking skills. Instruction includes connections to mathematics, but most problems can be solved with skills learned in middle school and do not require high school algebra. Marine Science: Marine Biology and Oceanography is an interdisciplinary course in marine science that combines topics in biology, chemistry, geology, and physics. 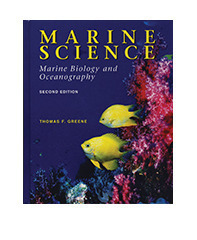 Chapters include sections that introduce students to historical events and pioneers in marine science (e.g., Jacques-Yves Cousteau), ongoing marine science research, the role of technology in studying marine life, and issues in conservation. Frequent research projects and lab investigations allow students to explore topics in depth and make connections to real-world issues and events. Both textbooks are organized to support readability and comprehension. Chapters begin by clarifying objectives and identifying new vocabulary. Content is presented in manageable blocks of text with vivid visual elements, such as photographs, illustrations, tables and charts. Student editions are easy to use and are written with clear language that will be accessible to most high school students. Teacher’s Manuals for each textbook are available separately from the publisher. Teacher resources include comprehensive lesson plans that clarify learning objectives and the materials required for each lesson. Lesson plans suggest the sequencing and pacing of instruction and provide activities to motivate and develop student learning. Founded by two educators in 1926, Perfection Learning provides high-quality, innovative curriculum solutions to K-12 schools across the country and internationally. Through its Kinetic Books digital curriculum, the company provides cutting-edge math and science programs for high school and higher education that are designed for 21st century learners. More information is available at the Perfection Learning website.